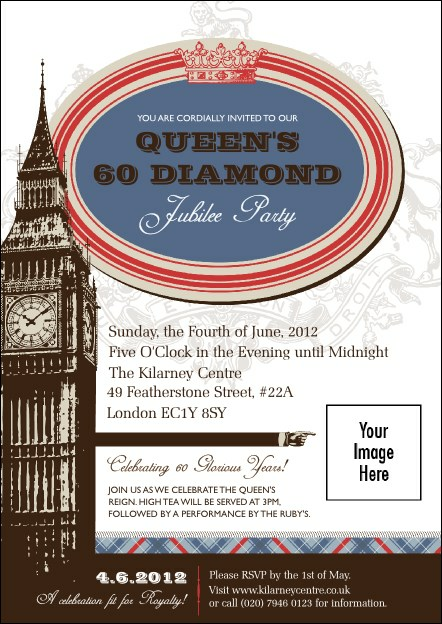 You may not be able to offer up the crown jewels, but you can surely offer up a great party to commemorate the Queen’s sixty years on the throne! Queen’s Diamond Jubilee Postcards are the perfect reminder for your event, and include a sharp colour scheme to go with Big Ben, the Royal Sealm and the crown. Open up the possibilities of great attendance with Postcards from UK Ticket Printing.